One day, I will track down a 7" vinyl test pressing of Dan Black's incredible, otherworldly cover of Notorious B.I.G's 'Hypnotize' and it will become one of my most cherished possessions. Nine or so years from the time that 'HYPNTZ' appeared in a blaze of glory (before Biggie's estate sadly nixed its release) and four years since his collaboration with Kelis, Black is finally prepping his second album. Listen to comeback single 'Headphones' below. Black's appropriately titled debut album 'Un' was released in 2009, with album deux ('Do Not Revenge') set for release later this year. The writer/producer has been building up his credits in the interim working with everyone from Kid Cudi to French singer/actress Louanne. The video for 'Headphones', directed by Chic & Artistic, matches the dream-like nature of Black's production, a more introspective counterpart to Gold Panda's seminal 'You' or even to his aforementioned 'Starman'-inspired debut 'HYPTNZ'. A stunning return. 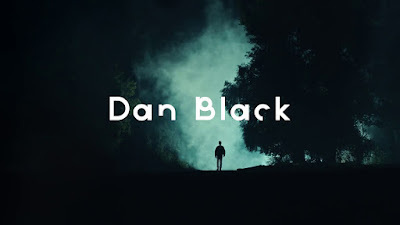 Find more info at facebook.com/danblacksound.